Since the announcement that SAGE will be producing the next incarnation of Sportkings, little information has been provided about it. So far, the two Walter Payton promo cards found in 2018 SAGE Hit Premier Draft Low Series are what we have to go on. Granted its only two cards, I do like what I see. I’m a total sucker when it comes to artistic sets, and that is what Sportkings has always been. 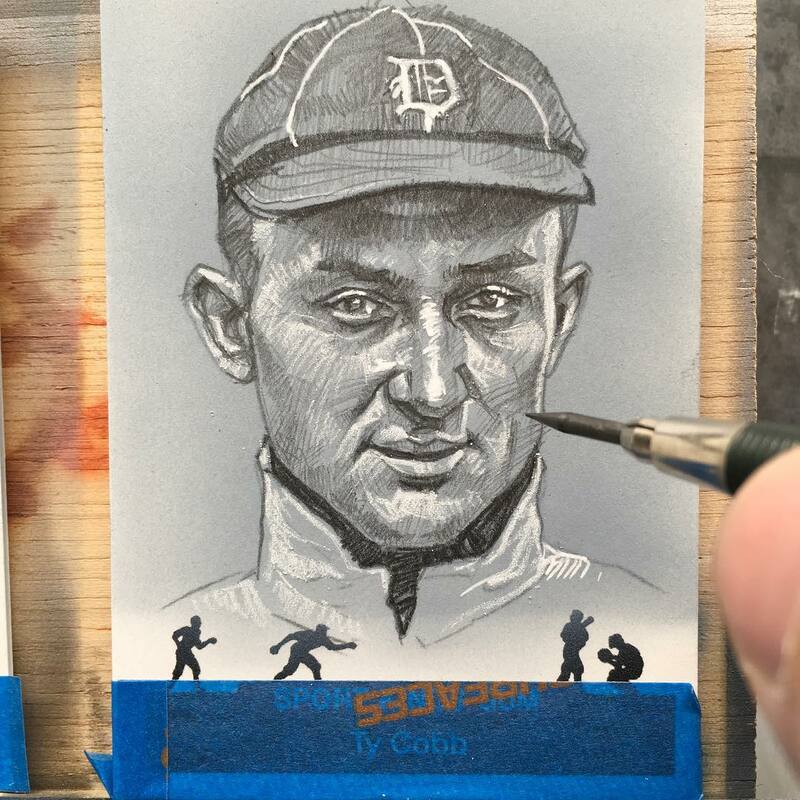 After some intense investigating, I’ve learned that artist Jared Kelley is working on some cards for the next edition of Sportkings. Specifically the 1/1 Hand Painted Art Cards. 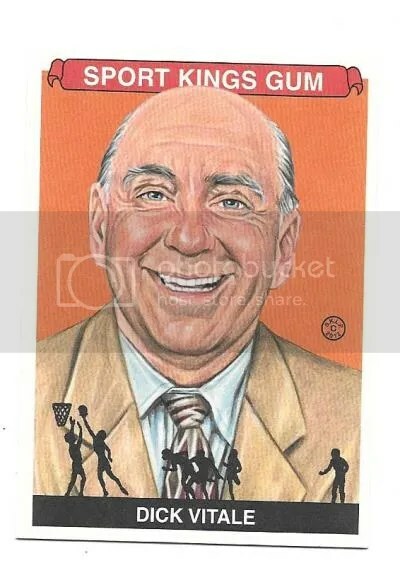 If that name sounds familiar, its because Mr. Kelley worked on various products when Dr. Brian Price had control of the Sportkings brand. I’m glad to see that SAGE brought him back. His artwork is amazing. 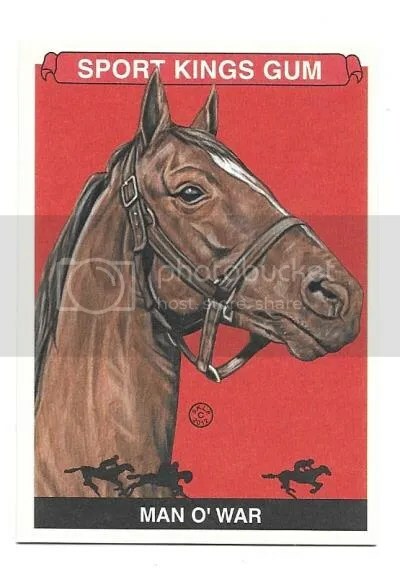 Every now and then one of his Hand Painted Art Cards pops up for sale. Most remain in collector’s private stash. When talking with Mr. Kelley, it sounds like SAGE could be looking at a summertime launch for Sportkings. That’s not definite. Although it would be great to see them release it during the National Sports Collectors Convention in Cleveland. 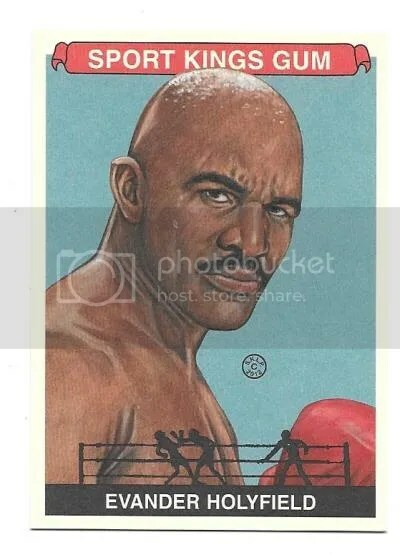 Here is a little taste of the 1/1 Hand Painted Art Cards that Mr. Kelley has been working on for SAGE’s Sportkings set. 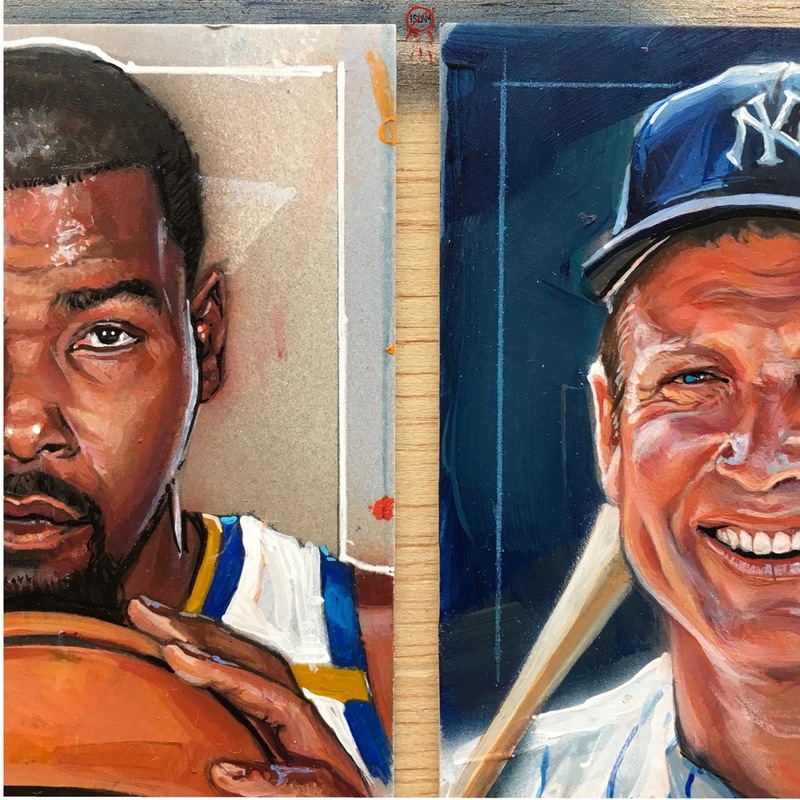 No checklist quite yet, but we know Kevin Durant, Mickey Mantle, and Ty Cobb are in the mix. Some collectors add new cards to their collection every single day. For many, the bubble mailers just don’t seem to stop. I’m very picky about what I collect. The Steelers, Eagles, Penn State, and the Phillies are the main teams that I follow. I probably follow the Phillies more than anything. Years ago I was looking for someone from the Phillies to collect, but I didn’t want it to be too easy. Players for the most part have tons of cards. Broadcasters on the other hand do not. So I settled on former Phillies broadcaster Harry Kalas. Good old HK only has a handful of cards, and none of them are simple to find. 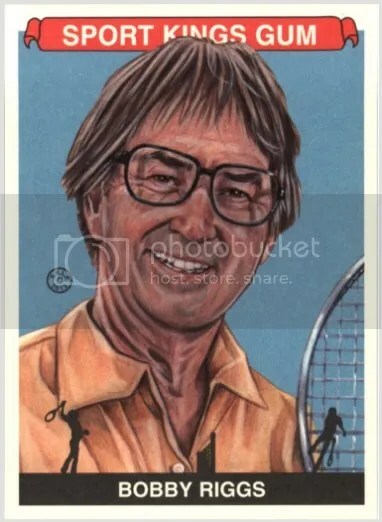 One of the last things I do at the end of the day is an eBay search for “Harry Kalas”. Most of the time what pops up doesn’t grab my interest. Mainly because I either already have it or its junk. My search last weekend turned up a card I’ve been looking for since 2012. It was the Harry Kalas 2012 Sportkings Series E Top 50 Broadcasters Cut Signature #’ed 1/1. The seller was from Massachusetts, and they accepted my first offer. It was up for sale for less than a day. 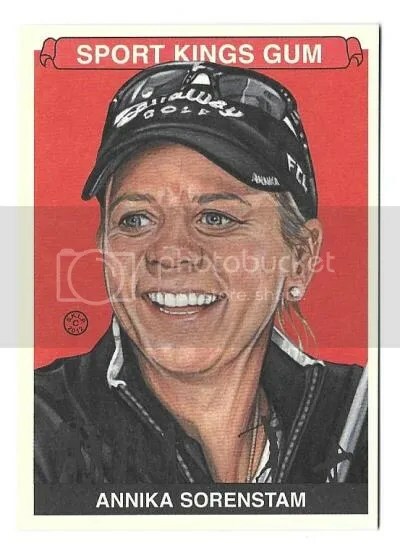 The card has arrived, and has been added to my collection. I believe this is the only cut signature of Harry Kalas to feature a picture of him. On Black Friday I pulled the trigger on a few boxes of 2012 Sportkings Series E from Blowout Cards. Former Phillies broadcaster Harry Kalas had a cut signature inserted into this product, and I’ve never seen it surface. 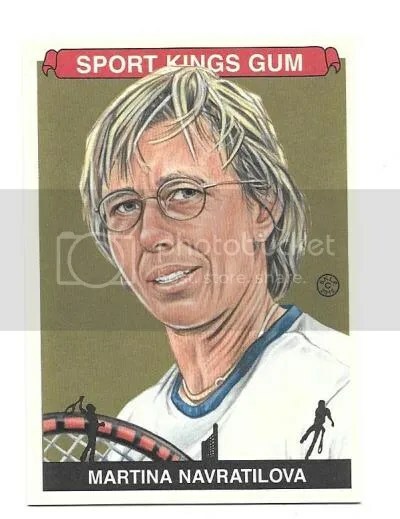 Sportkings also supposedly made a sketch card of him too that could only be obtained via redemption, but that too has gone undetected. 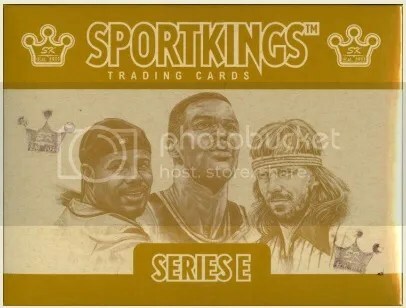 In order to get a 1/1 sketch, you needed to spell out the word “SPORTKINGS” a few times, and then mail those cards into Sportkings. Every box had one base card containing a letter on the back, so it could get expensive. 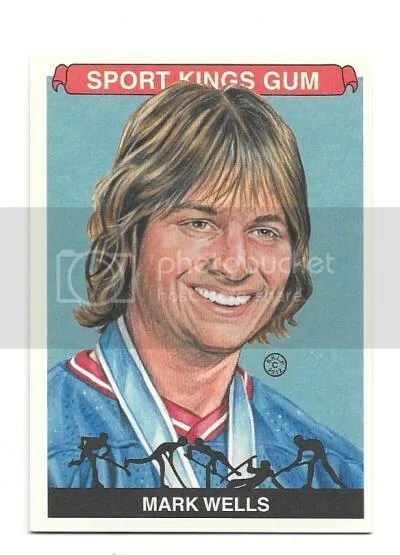 Whether or not that Harry Kalas sketch was redeemed is a total mystery. I don’t believe they let you choose which sketch you got. If you met the criteria, they probably shipped you what was available at the time. It was either redeemed, and is currently sitting in someone’s collection. Or it was still in their inventory when Sportkings was sold to Leaf. If that’s the case, who knows what happened to it. 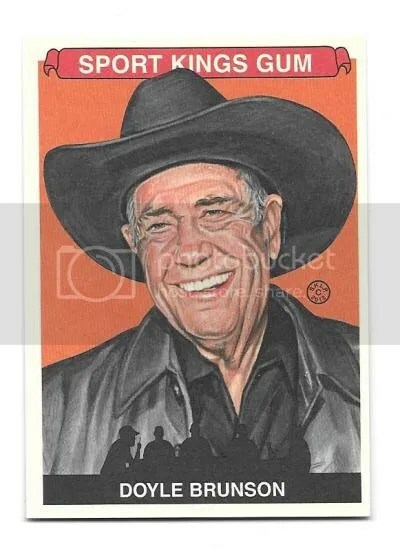 The only sketch card from this product I remember seeing popup was of Phil Rizzuto. 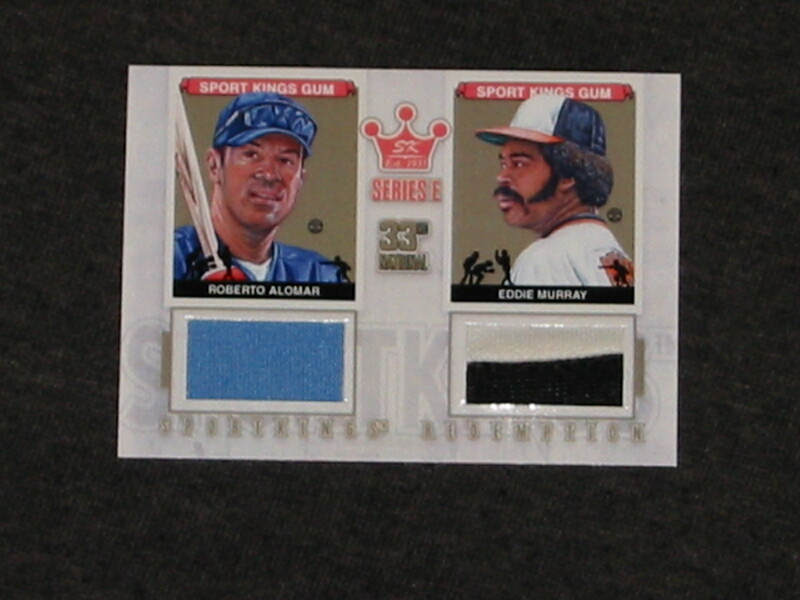 Sportkings ran what I think was a decent promotional program during the 2012 National Sports Collectors Convention. For each box of Sportkings Series E opened at their booth, you received a raffle ticket with a number on it. That number would then be matched to a specially made relic card just for the show. It would either be limited to (19) copies or (1). 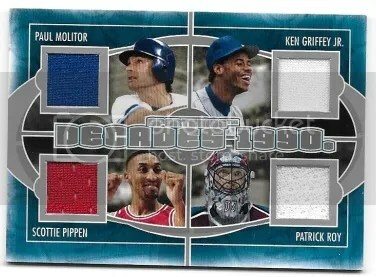 I got lucky and received a Roberto Alomar/Eddie Murray Gold Version Dual Jersey #’ed 1/1. A collector offered me $200 for it, and I took the deal. 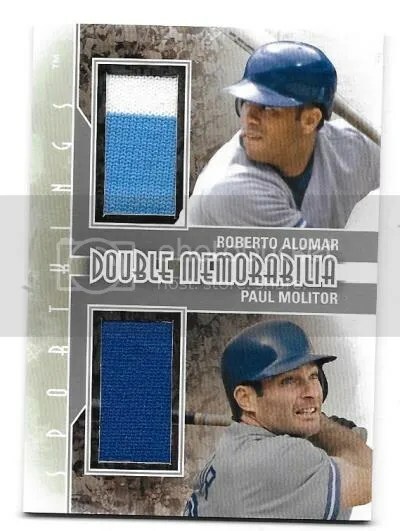 Even though it was numbered 1/1, dual jersey cards usually never sell for that much unless they’re autographed or have crazy patches in them. I wish Leaf would continue this program in the future. 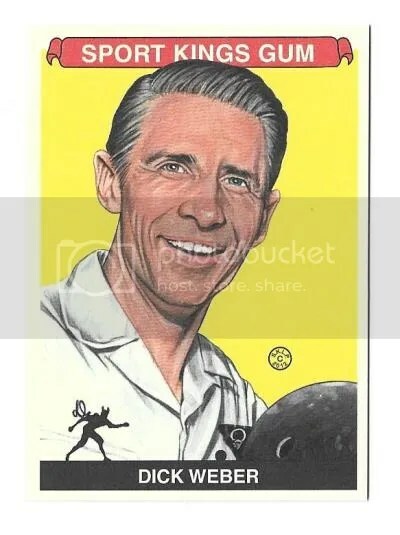 At the time this promotion was offered, Dr. Price was still in control of the Sportkings name. Here is what I pulled from my two boxes. No Harry Kalas cut signature. Its still floating around out there with a handful of other 1/1’s I need.